A Madison childhood is not complete without a Madtown Twisters birthday party! 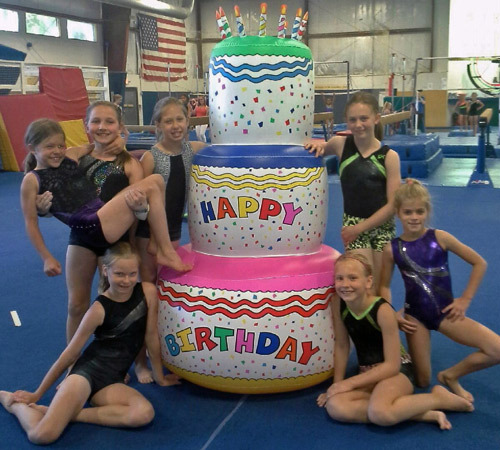 We offer parties for kids, birthday parties, gymnastics parties, open gym parties, and more. It will be an extra special time for children of all ages. And we understand that you have busy lives, so we make it easy for you to have a party for any occasion. You bring the food and beverages, and we provide the fun environment and activities. Madtown Twisters does all the set-up and clean-up for you! We offer open gym times, birthday parties, and more throughout the week and weekends. You can set your own schedule when booking a private birthday party or special event. Madtown Twisters EAST or WEST. Choose the type of party you want to have: Madtown Party or Open Gym Party. Call Madtown Twisters to confirm availability and the date and time of the party.